When I was sixteen, I played in the school volleyball team, with guys that were two years older. I remember that the whole team was invited at one guy’s home, where he played the new LP of Herman van Veen. 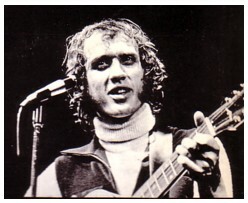 I knew Herman van Veen, like everybody in Holland does, but I had never paid much attention to his music. Since much of the conversations went over my head (literally), I close listened to this music. 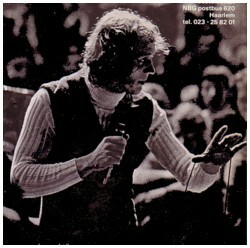 From that day on Herman van Veen became part of the soundtrack of my life. Herman van Veen has done serious attempts to reach a wider audience than the Dutch. He seems to be popular in Germany and I think he also toured in the States. But all I have of him is in Dutch. I rarely listen to it. It makes me melancholic, and that is not a mind state that I like to be in. 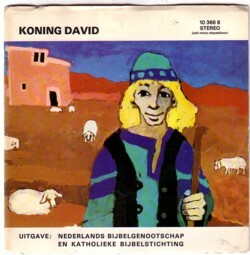 Not so long ago I bought a pile of 45’s released by the Dutch Bible Society, with songs and stories from the bible. 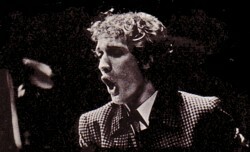 Three of the records feature Herman van Veen, singing lyrics written by the man who wrote most of his best songs, Rob Crispijn. 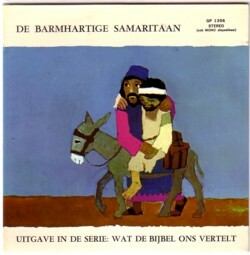 My idea was to share one of these bible records with you today, because they are pretty obscure, and I doubt if many fans of Herman van Veen know he recorded them. But when I listened to them an hour ago, I didn’t really like them. And then I remembered a cassette tape with demo’s that Herman van Veen recorded. 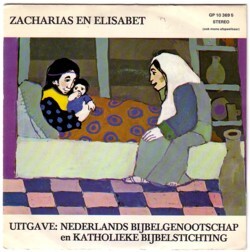 It is recorded on a lousy tape deck, and all Herman sings is lalala , but believe me, this is much better than the bible songs that I had in mind. I got this cassette tape from Rob Crispijn, who I happened to help clean up his office one day. He is a dear friend. His office was a horrible mess and I offered to help him reorganise it. Rob doesn’t care at all for the things he collected from the past, and least of all for his own work. He has been writing beutiful songs for decades. Not only for Herman van Veen, but for dozens of singers. I will write more about this in the near future. Anyway, at the end of the day I went home with a box of cassette tapes that Rob wanted to throw away because he had no idea what was on them. “You are going to throw these tapes away because you don’t know what is on them?! I should say that not knowing what is on a tape is the best reason NOT to throw it away!” Rob burst out in a fit of laughter, probably thinking I was nuts. I have listened to all of the tapes and made a compilation for Rob. I doubt if he has ever listened to it. That’s certainly not Herman’s voice on the tape…. Certainly it is, Ronald! Iam rarely 100 & sure of something, but in this case i am. I remember those bible stories, Eiko. Back then i still watched a lot tv. And although i never really got the point of the stories, i loved the voice, the simple format and the peaceful atmosphere of the program. maybe it is available on DVD? I will ask my brother, he knows these things. Dear Frits, it’s a nice story about the tapes. Regarding the vocals, I agree with Ronald this is not the voice of HvV.